A modern vehicle carries many technological innovations that drivers of the past century could not even imagine. The power steering is one of them. It takes a minimum effort on the part of a driver to steer their cars these days, thanks to this innovation. However, nothing is perfect, and as with any other component of a machine, the steering of your car may give you trouble from time to time. It may range from a minor inconvenience to a significant safety issue, depending on the fault. An alert driver, however, will notice the signs of a malfunctioning steering at the bud and get a steering repair in Easington done without delay. The power steering of your car runs on a hydraulic system, which means that there is steering fluid involved in its operation. This fluid, when old, may lose its effectiveness that reduces your steering's performance. Therefore, you should occasionally check the fluid level. Look out for discolouration (new fluid is red) and foaming and bubble formation. The fluid level may also go down, which generally indicates a leak in the system. Look out for red spots on the ground after you take out your parked car. If you notice this issue, immediately bring your vehicle to Easington Service Station for a thorough inspection and repair. 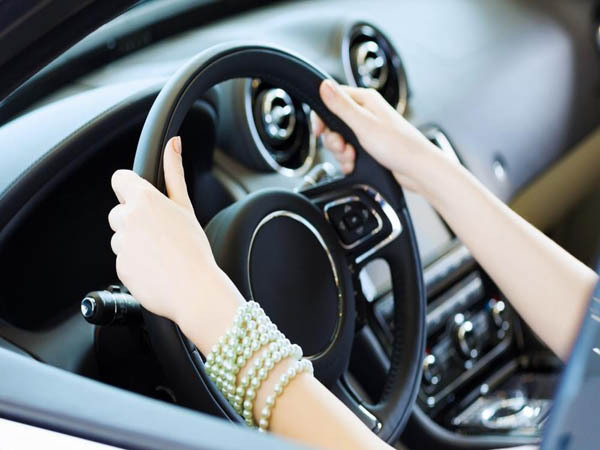 A squeaking or squealing noise while using your car’s steering wheel is an early indication of a failing steering pump. You may also hear a clanking sound inside the housing because of the same thing. It is not a problem with the steering itself but an alignment of the wheels. However, since it directly affects the steering, you should know about it. If your steering wheel is not centred, you&ll feel a constant pull. Diagnosing it is a relatively easier task. Just shift your car into neutral and leave the steering. Ideally, the manufacturer’s logo in the middle should be looking straight at you. If it’s not, bring your car to our wheel alignment and steering service garage in Easington. A less-than-perfect steering wheel is one of the biggest threats to your road safety. Do not let it fester. As soon as you notice any of the signs mentioned above, bring your car to our steering service garage in Easington for a thorough check-up and repair. You can also bring your car to us for any other type of repair or replacement. We also buy scrap cars, MOT failed vehicles, and offer general vehicle disposal.